Slàinte! 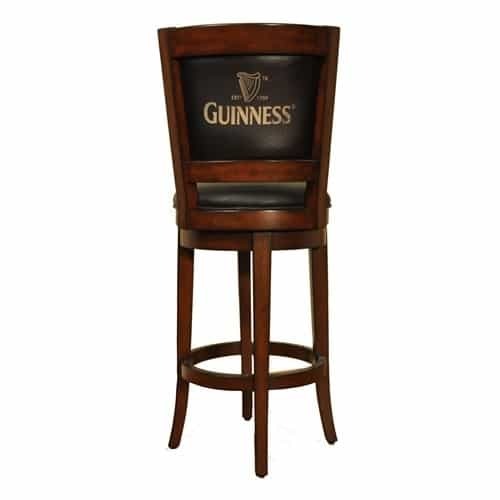 Raise a pint to the Guinness Swivel Bar Stool by East Coast Innovations. This adaptable wooden swivel bar stool is finished in distressed walnut and boasts a genuine leather seat highlighted by the Guinness logo on the back! The effortless swivel is ideal for bellying up to the bar; it’s comfortable and functional. 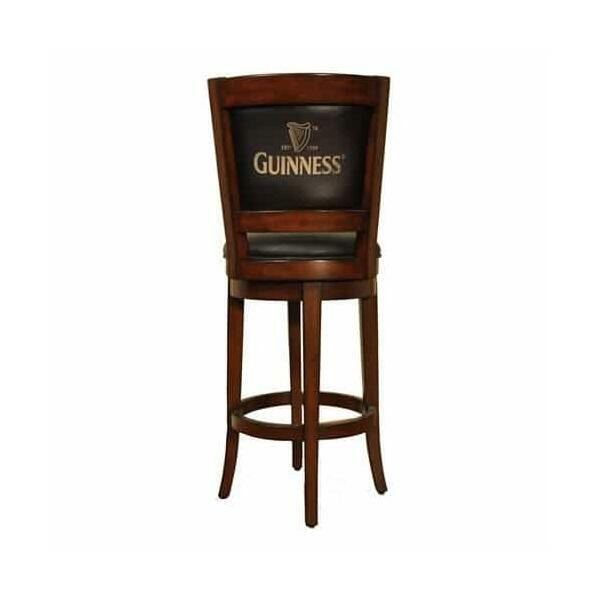 This stool coordinates with the Guinness Raised Panel Bar, but will also complement your existing bar.